Tomorrow morning at the Primary Years Assembly, I will be presenting six more Digital Leaders lanyards bringing the number of newly qualified Leaders up to twenty two. My photo shows the pile ready with the badge grid showing badges earned so far complete with the glamorous purple lanyard (called the forgotten colour of our school uniform by our Music teacher!) with teal custom printing. The cost for each lanyard is around five dollars. The plastic sleeve is worth about fifty cents and the printing is a few cents extra. A modest investment considering what the students and the school get in return. We are not talking about privileged students here - far from it. For that price, I get enthusiasm and dedication. For that price, students get opportunity and a shot at showcasing their skills. For that price, the school gets expertise, hosted lunchtime activities and teachers get access to student experts who can help get their learning programs running smoothly. For that price, students get a chance to feel special, to feel pride in helping others, in having fun and getting to learn something new. For that price, I get to build new relationships, I get to re-engage some challenging kids and I get to push this whole idea along to become something that is a positive, embedded part of the school. Worth every cent, I say. 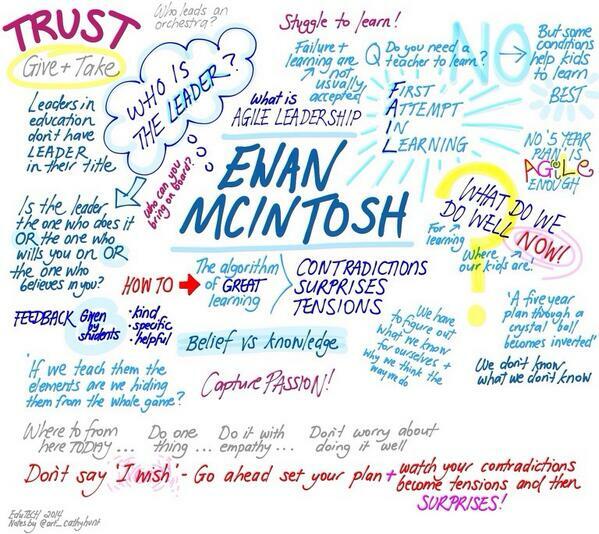 Posted in Future Directions, Leadership, Learning on May 4, 2015 by Graham. 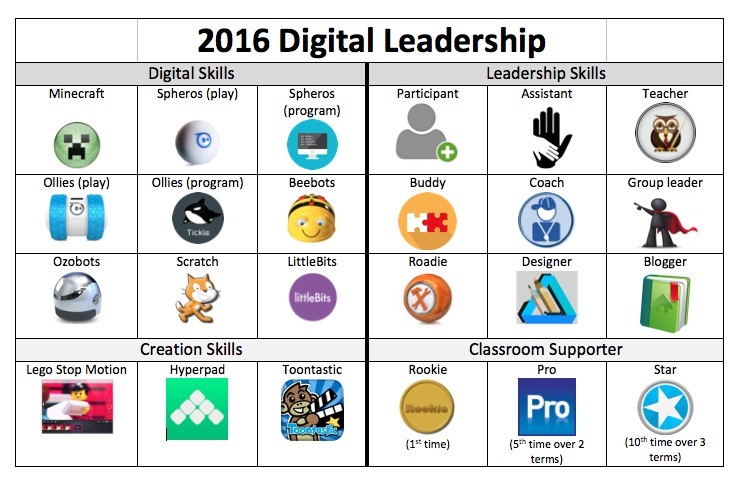 One of the things that emerged from our 2012 WGS action research project around gaming for learning was the idea of acknowledging digital skills and expertise of students in a Digital Leaders program. As the student researchers played in the Minecraft environment or used the XBox, it became apparent that some students fell naturally into the role of instructors, organisers and coaches. In 2013, I formally organised the first group of Digital Leaders for our school, earmarking Friday afternoons as a time where they could work in-world in our MinecraftEDU server. These students were volunteers from the upper primary classes, and had a mix of responsibilities ranging from troubleshooting for younger students invited to participate, mentoring some handpicked disengaged students to running lunchtime sessions for middle primary kids. It was quite informal - but I began to see Digital Leadership as offering an opportunity for students to demonstrate leadership in a different form. Some of the students who became embedded in the program were shy, or struggled academically or socially. But in this role, they grew in confidence because they had expertise that other students saw as valuable and desirable. These students were acknowledged at the end of 2013 with certificates but I think they appreciated the gift of time where they could showcase their talents and interact with peers who had the same digital bent. In 2014, some of the same kids continued with the program but through a combination of factors, we now longer had access to a time in the weekly timetable to set aside for this group. I ended up running Minecraft sessions four lunchtimes a week across the school using our new suite of Digital Leader laptops, but the Leaders dwindled to a small but loyal group of volunteers. Some of the lunchtime groups attracted students who were struggling in the social whirlwind of the lunchtime playground and saw time absorbed in Minecraft as a safe haven. But looking back, I can see that I didn't invest enough time in the actual Leaders and really leaned on their goodwill for the entire year. They were great kids but as they were moving onto high school this year, I knew things had to change. But I couldn't work out what the way forward should look like. As this year started, I would run into kids in the yard asking me, "When are you starting Minecraft back up again, Mr Wegner?" I had lunchtimes free to actually eat my lunch but I was feeling guilty about not providing an option that kids were super keen on. My big pile of priorities to get off the ground kept stalling the inevitable moment when I would have to get started. But I knew that the Digital Leaders program needed some structure, needed fresh student participants and I wasn't ready to do anything until I knew what was required. The weeks ticked by. I thought kids would grow tired asking about lunchtime Minecraft but the almost daily queries continued. Then on a Partnership Leadership day with Anthony Muhammad, the structure of the 2015 program came to me. We were having a morning tea break. 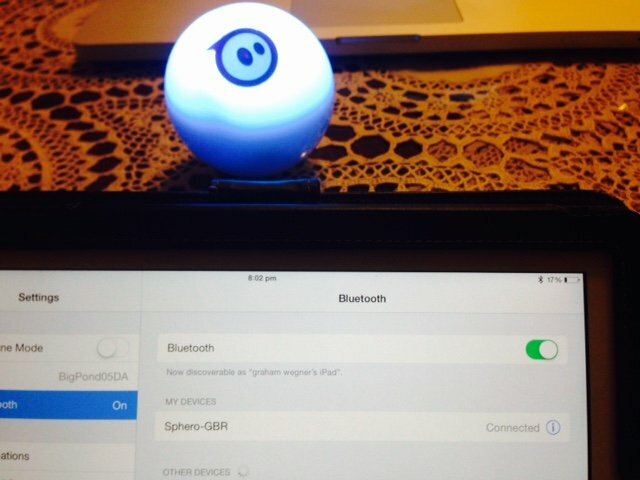 I had taken delivery of my new Spheros earlier in the week. I had just been nibbling on a pastry when the concept came to me - a badge system that acknowledged skills and allowed progression and responsibility. I scribbled the basic structure on notepaper during what remained of the break, and put some more finishing touches during the lunch break. The next day, I fleshed it out using Cmaps and ran the idea past a few colleagues. I used ClassBadges.com to create and find the badges I needed and to provide the tracking system I would need. I typed up the whole thing into a clear structure that could be used with staff and students. You can download a copy here. It is loosely based on a gamification hierarchy. 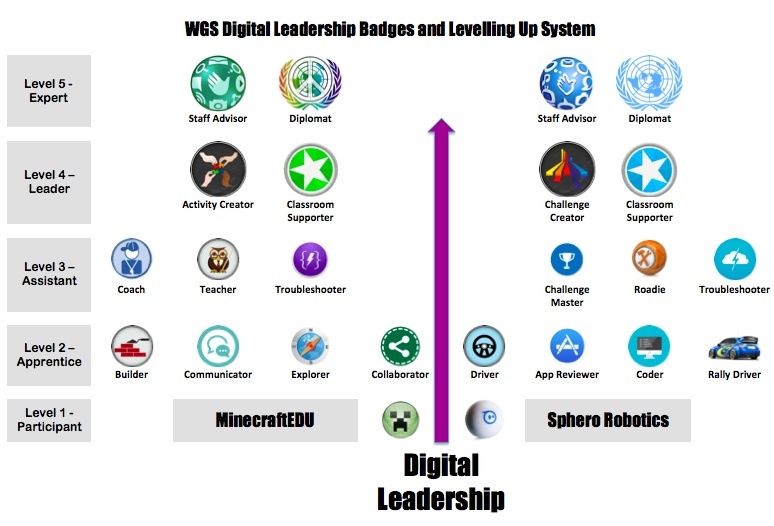 Demonstrate a skill in either MinecraftEDU or Sphero Robotics and earn a badge. Earn all of the badges in that level and then level up. What I wanted was a system where as many kids who were interested could join in and progress at their own pace. Getting students from Apprentice to Assistant will give me the expertise needed to start to run lunchtime sessions again. Diversifying from a Minecraft only diet will also attract a different type of student, but again with choice as a driving factor students can choose one path or the other - or both! 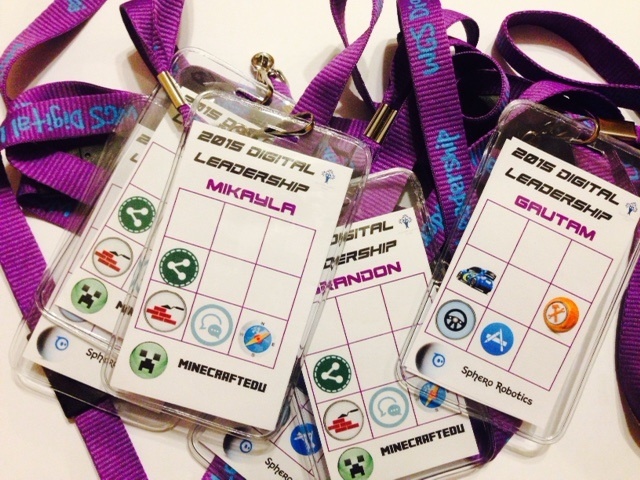 Moving up from the Apprentice level also grants students their official lanyard with ID plastic tag where a printout display of earned badges with the student's name shows others what the Leader is qualified to help with or what role he or she can perform. I ordered cool purple lanyards (the school's overlooked colour) with WGS Digital Leadership embossed on them, and presented the whole concept to the Year 3 - 7 classes at an assembly on the following Tuesday after my initial brainwave. Three weeks later, I have 51 students enrolled in the program. As expected, students are at all different stages but I presented the first official lanyards to six very proud students at last week's 3-7 Assembly. I'll be giving out some more this coming week at the end of term Whole School Assembly. I have run lunchtime sessions for potential leaders only alternating between using our MinecraftEDU server and learning how the new Sphero robotic balls work. I have found enough ninety minute sessions to get back that valuable time that leaders need as an additional incentive to provide support down the track. Students use the Leadership blueprint to plan their approach to earning badges, and are diligent about providing evidence so that the next badge can be awarded and tracked. 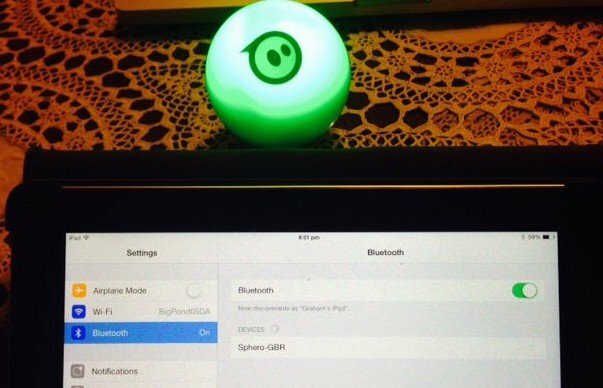 My vision is that there will be a core group of students who can be rostered on for lunchtime activity sessions, and be on call to help teachers who want to use either Minecraft or the Spheros in their classroom. I hope by opening it up to so many students that I am providing opportunity for younger students to gain experience in sharing their expertise with others. I am also hoping that a small group of students have the chance to become a Diplomat or Advisor, where visitors to our school can hear first hand from talented students about the unique opportunities we offer in this ares for our students. So far, it is off to a promising start. 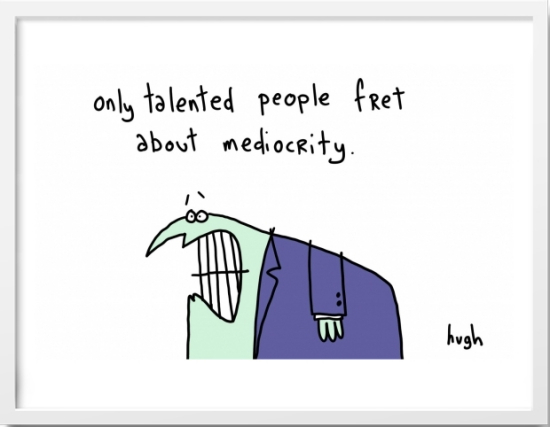 Posted in Gaming, Leadership on April 4, 2015 by Graham. I've thought about tensions in education before in the past. But Ewan's discussion about tensions and contradictions, followed by Tom Barrett's presentation on creativity which also talked about tensions, started some contemplation within my own mind about how I go about my own learning and then transferring that to my professional life as an educator and leader. This post will be an attempt to sort some of that out and to address some of my past frustrations in a new, more informed light. I don't want to rehash Ewan's address here but this great visual presentation from Cathy Hunt aka @art_cathyhunt sums up the key ideas. I've been looking back at the almost three years that I've been at WGS with a feeling of frustration in a number of areas. I know that the school is immensely complex and challenging, and I have been on a steep learning curve since arriving. However, there are a lot of times when I feel like I haven't made that much of a difference to the place, or that the school hasn't moved to places that it should have under my guidance. I remember applying for the job and talking to another ICT peer here in Adelaide about the opportunity. He suggested that the position would be ideal - a brand new school, no previous incumbent or set ICT directions, a blank canvas, so to speak professional opportunity wise. 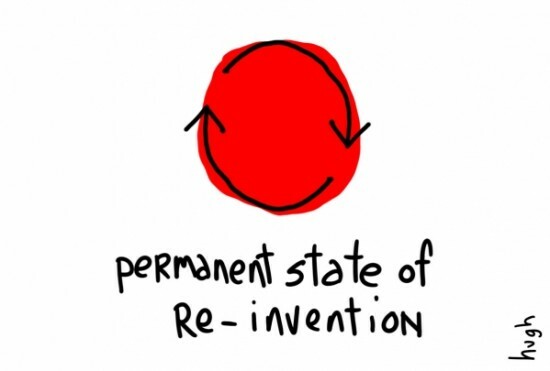 I had visions of heading up a drive of innovation where technology would be embedded in rich and meaningful ways, where connected staff planned and provided leading edge learning for their students and there would be outside recognition of these programs. Well, WGS is innovative and doing a great job catering for the needs of its students and I am privileged to be part of a large progressive leadership team, but it is my own contribution that caused me frustration. Everyone else seemed to have their act together and knew what they were doing while I (in my mind) struggled to be clear about directions, about making the right decisions and most of all, about getting teacher buy in for the essential role of technology in re-imagining learning for our students. Maybe it is part of the reason I started to retreat from participation in educational social media - I felt like I didn't have successes to highlight, that every connection seemed to be on track with their professional programs but me. The evidence was in front of me - educators who used to be just like me when I was a coordinator / classroom teacher were heading up important leadership roles, being headhunted to showcase their answers at conferences and being referenced as thought leaders in publications and books. Not that I wanted any of that - but I didn't want to feel like the only one who feels like they don't know what they are doing. So, to to hear Ewan and Tom talk about tensions made me reflect about the tensions I experience in my daily professional life. There are plenty of them. There is the tension between ensuring that there are enough devices available for use and the fact that any devices can be used to enable student learning at a deep level. There is tension between dealing with urgent behaviour management issues at the expense of more big picture planning - the former robs the latter of time, but leaving the former means that extra thought for the latter could well be wasted. Tensions exist across the school - teachers are encouraged to use structure to keep students on task and because looseness can descend into chaos within a minute, but over-structure promotes disengagement and constrains freedom of choice for learners. I personalise learning for teachers at PD sessions but it is difficult when the range stretches from Twitter enthusiasts to teachers who struggle to sign up for an online account - mirroring the broad range of our students. I have probably achieved a lot more in my role at this school than I am prepared to give myself credit for. But I don't like to use valid reasons as excuses, so I need to open up myself to more sharing, more consultation with my colleagues and making networked learning a key part of a leadership and role resurgence that is necessary for both the school, my colleagues and myself. 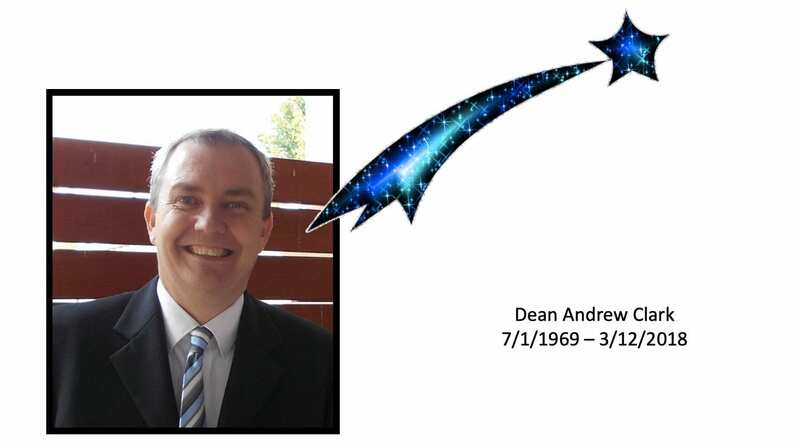 Posted in Future Directions, Leadership, Learning, Personal Reflections on June 9, 2014 by Graham. I was recently asked to respond to the question, "What makes a great leader as opposed to a good leader?" As my thinking really went across the whole idea of being a leader regardless of official title, I thought I would post my list here for wider interaction. The words left of the arrow are in the Good category, still necessary as great does not preclude good, and the Great stuff is on the right of the arrow. Posted in Leadership on May 4, 2014 by Graham.